Margin trading is the practice of using borrowed funds from a broker or an investor to trade a financial asset which will form part of the collateral for the loan taken. Simply stated- margin trading is just trading using loans. The gains that are estimated from trading, by the borrower, are leveraged for investors to access more funds. It can easily potentiate profits when done with the right assets. Margin trading allows a trader the option of trading in volumes more significant than the principal amount a trader holds. For example, if a trader foresees a rise in an individual asset, i.e., Ethereum, they can use margin trading to increase the volume of assets they can trade in, for the chance to go long on Ethereum or to go short, if they predict a price drop. Profits earnt through margin trading depend on two parameters; movement of product price and the range of motion. Unlike spot trading, margin trading requires a deeper understanding of the market. The stakes are much higher in margin trading. Gains may be lucrative, but if executed with minimal information and research, the losses may be severe. It is precisely such attributes that have led to many investors labeling margin trading as a double-edged sword, capable of amplifying great profits or causing extreme losses. Margin trading is generally practiced by only the most advanced and experienced traders who are very familiar with its mechanics and market patterns. Profits can be accumulated over a short period with the right investments. Due to the high risk prevalent with margin trading, traders will generally carry out their trading activities via a special trading account, called the Margin Account. The Margin account allows traders to participate in the exchange of certain products that can only be traded over margin accounts such as short sales and futures. Commodities such as stocks can be traded using both margin accounts and cash accounts. The high-risk nature of margin trading makes it a risky source of income, which therefore requires rules and regulation control — enforced by regulatory and governing bodies to safeguard traders from being taken advantage. With the exponential increase in digital assets, it was only a matter of time before digital exchange platforms started popping up more and more frequently. Trading in cryptocurrency and altcoins has grown in popularity over the years, and it is increasingly becoming/become a vital source of income for a section of the world’s population. Trading is executed in digital exchanges which initially arose due to the increasing need for secure platforms to trade assets. Digital exchanges are rapidly integrating features from traditional exchanges step by step. Margin trading currently features only in a select number of platforms, such as the Liquid platform. II. 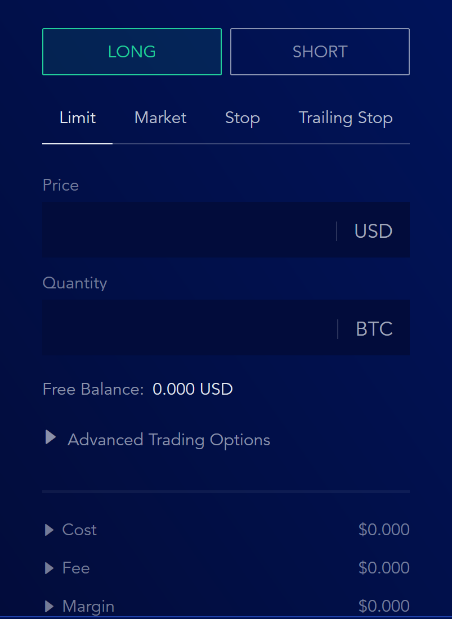 After selecting the margin trading option, the user can proceed to choose the assets they would like to trade in, which is displayed at the very top upon loading of the margin trading page. III. Specifics of the trading can be inputted by the user including advanced traders and those trying their hand for the first time. Traders may either choose to go long or short depending on their preference. IV. Once the submission has taken place, a position is opened where all the indicators of the trade can be seen. Executing a margin order on liquid can be done in the above four easy steps. The steps may be slightly different in other platforms, but the ultimate goal will be more or less equal, and these steps can be followed for other platforms as well. Margin trading promises high rewards when executed meticulously in a favorable market. For the investor, margin trading opens up an opportunity to trade beyond their existing liquid capital. Shares purchased via margin can be more than shares acquired on a cash-only basis. Margin trading removes the constraint of limited cash resource for the trader by availing another pool of funds from which investors can withdraw. Margin trading can, therefore, lead to greater gains compared to spot trading. With margin trading, investors can easily take up trading opportunities as they arise. In the cryptocurrency market, much volatility is experienced. Understanding the market movements of assets may be difficult. Opportunities may arise without notice. Margin trading makes it possible for investors to access funds which they can use to invest in opportunities that arise unannounced. In this way, traders can obtain increased profits through margin trading compared to spot trading. Diversifying investment portfolios is another added advantage of margin trading. Investors can start by venturing into productive assets and opportunities that present themselves. The extra funds available make diversification of portfolios easier. In a case where an investor may wish to hedge downside risk, margin trading can be a useful tool. Short selling is one of the ways of hedging downside risk, and it can only be achieved through margin accounts thereby increasing the advantages of margin trading. Margin trading can also be used to potentiate gains through ‘carry’ trades. Carry trade is a practice whereby an investor gets a loan at low-interest rates. The investor then uses these funds to invest in assets that are likely to have a high return on investment. For example, one can decide to borrow a soft loan from a friend at a fixed interest of 10% and use this money to bet on a high stakes match where the odds suggest that the returns may be in the region of 200% to 300%. Upon successful betting and winning, a profit of at least 180% would have been made. The same principle can be applied in margin trading, therefore, making it easier for investors to achieve their gains. From the advantages seen, margin trading can be a very lucrative venture. However, just like any financial trading tool, you have to assess all parameters of the deal and thoroughly analyze the opportunities as well as the threats presented. In the same way, margin trading strengthens profits is the exact way it can deepen losses. Investors are given a gateway to higher profit margins with the risk of even more significant losses if the investment choices made turn out to be disastrous. It is, therefore, necessary that before venturing into margin trading, individuals have done their due diligence and understand the risks that may arise and the losses that may be involved. Potentiated losses– Margin trading involves increasing an investor’s principal amount. It seems like investing using two principle amounts. When it comes to gains, an investor makes profits from both volumes; however, when it comes to losses, the damage becomes increased exponentially. The investor risks losing both investments amount. Aside from that, there is also the monthly accrued until the payment is completed or over the specified period. The losses are likely to be greater than 100% especially where the margin loan given was above 50%. Margin call- This is connected to potentiated losses. A rapid drop in the value of the asset invested in may lead to a margin call. A margin call is mostly followed by a need to present a substantial amount of cash to cover losses that will have resulted from the decrease in value of the price. The time-frame required for this money to be raised it even more stressful for investors. The other option for investors is coming up with a marginable stock at such short notice. The whole experience will be a stressful and demanding situation for investors. Forced liquidation- While taking loans, collateral has to be attached. The collateral is used as a guarantee for the loaner that their money can be recovered in one way or the other. When borrowers fail to honor the terms of their loan, these collaterals are usually auctioned off to complete the repayment of the loan. In margin trading, the assets are used as collateral and can be sold to recover the loan in case the investor fails to honor the margin call. Interest charges and risks associated with it margin accounts have a higher interest rate than regular accounts. The longer the loan remains unpaid, the fewer gains investors make. The situation could become so bad such that in the end, the best-case scenario for investors would be to break even. The interest rates for margin accounts are also not fixed. They fluctuate depending on various factors such as market demand. This can easily affect the net profit for the investor. Gains can quickly be eroded over time leaving the investor with minimal trades at the end of the trading period. There is also a risk of realizing losses even though the margin trade realizes some positive returns. Extra vigilance and concentration– Margin trading has to be tracked at all times to ensure that the margin does not fall below the set level. This can be stressful with assets that are highly volatile such as cryptocurrency. 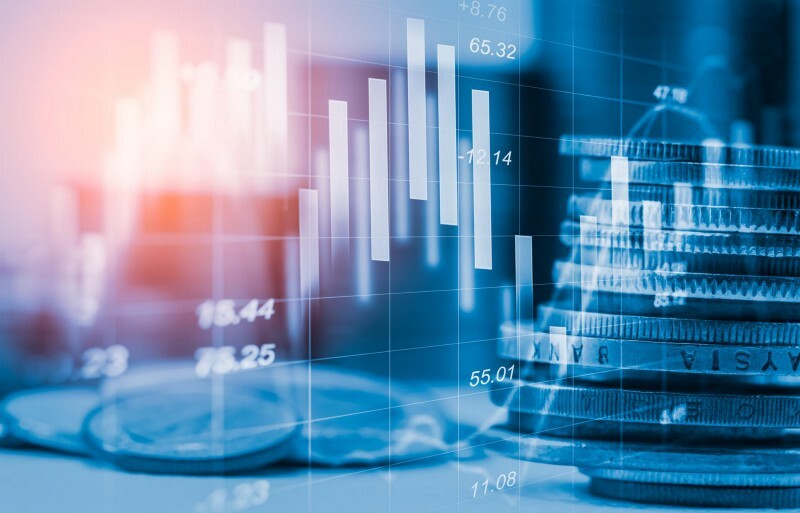 The extra vigilance required will place a substantial amount of effort on investors, especially when investments were made on multiple assets in the market. Following the performance of different assets throughout the trading period closely especially in a volatile environment on a constant basis is inconvenient for individual traders. Investors need to accurately analyze the pros and cons of margins trading before executing such trades. Margin trading requires discipline as dealing recklessly with leveraged assets may lead to a total collapse of an investor’s portfolio. Preparing for losses- Any rational and responsible investor who would have done proper due diligence will understand the necessity of preparing for losses while margin trading. Anything can go wrong as assets can quickly lose their value. An investor should, therefore, invest to a level where the losses incurred can easily be cushioned by other investment. No investor should ever borrow to the maximum of their ability as any wrong move could lead to catastrophic losses. Investors should also have pro-active strategies ready in case of unexpected losses. Spreading risks- By using margin trading for a diversified portfolio, a total collapse of assets can be prevented. The performance of some assets may extenuate for the losses of other assets. Using margin trading for short time periods– This prevents long-term damage to profits. Shorter time periods decrease the loss that may be experienced when an asset loses value. With such preventive measures, a trader will have adequate measures in place to thoroughly prepare for any adverse market conditions while not letting themselves be entirely financially exposed. Margin trading can be very rewarding when done right. However, like any trading practices, there are risks associated with it that may lead to massive losses. The description of margin trading as a double-edged sword is very accurate. The effectiveness of margin trading, therefore, depends on the investor. When a responsible investor uses margin trading with a good strategy and via an excellent margin platform like Liquid, the benefits achieved could potentially be very lucrative. To be able to margin trade up to x25 leverage, join the Liquid platform to start earning right away. Please check out my BlockDelta profile for all of my contact details including social media.